Economic secretary to the Treasury John Glen has called for “evidence-based interventions” in financial services to make more progress toward gender parity. Speaking about the business case for diversity at the PIMFA Wealth of Diversity Conference 2019, Glen commended the progress of the industry’s initiative to address the issue, but said the progress has been slow. 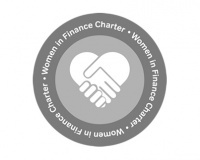 Glen spoke about the developments of the Women in Finance Charter, which was launched in 2016 and has been signed by 300 financial services firms, employing some 78,000 people. According to the Financial Reporting Council review from the last September, charter signatories achieved higher diversity reporting scores than other FTSE 350 companies. In the charter’s second annual review due in March, the signatories will update their progress. Glen said he will use the review to inform the government’s action forward but was clear on the need for interventions. Elsewhere the government has listed actions such as “including multiple women in shortlists for recruitment and promotions” among other examples of what companies can do. Glen said: “To have a real impact, it is important that we focus on what works, delivering interventions collaboratively and with a collective voice that promotes the progression of women. “Across the whole spectrum of the debate, it is clear that evidence-based interventions to bring about the step change is needed, as progress is slow. The Investment Association’s diversity strategy managing director, Karis Stander, says there has been a momentum among companies keen to recruit diverse talent. Investment20/20, the IA’s diversity strategy, aims to attract young people from all walks of life into the investment management industry and connect them with the partner companies in the industry looking for a diverse workforce. How are you communicating this, and how are you holding your team accountable? Are you treating this like any other business priority?